The pace of present African literature is moving at a high-speed; more defiant in both style and tone than those of the great independence writers’ generation. Here, the subjects of taboo are widely explored. The emerging African authors of this generation are not afraid to go further afield for the literary fodder. Chinua Achebe is one of the best African authors who have contributed a lot in the field of African literature. He was born in 1930, and schooled at the University of Ibadan, Nigeria. His first groundbreaking novel titled Things Fall Apart was published in 1958. This novel which has since been translated into over 50 languages due to its high demand, made Achebe very popular. Chinua Achebe later served as a professor of African Studies at the David and Marianna Fisher University and at the Brown University in Providence, Rhode Island. He died early 2013 in Boston, Massachusetts, aged of 82 years old. Wole Soyinka is also one of the great heroes in the list of top and best African authors who have won great awards and honours in the world of literature. He was born in 1934 in Nigeria and he became the first African author to be awarded the Nobel Prize award in literature. In the late 1950’s, he wrote his very first important play titled ‘A Dance of the Forests’ that satirizes a fledgling nation by highlighting that the present days were no longer as golden as past. Common in his recent works, is the focus on satirizing the the evils fundamental in the practice of power in modern West Africa. 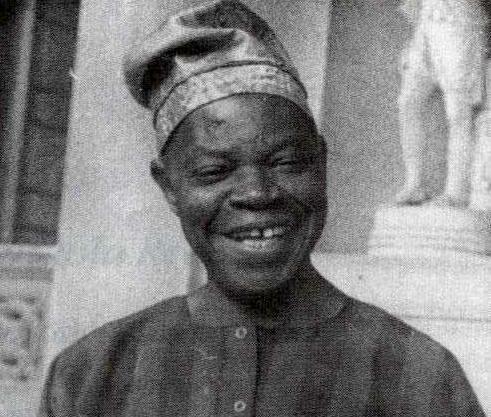 Amos Tutuola was born in 1920, Abeokuta in Western Nigeria and died in 1997. He was a self-taught African author who usually focused his literature on the Yoruba folk tales. He became popular after gaining the world fame with his best story ‘The Palm-Wine Drunkard’ that completed in 1946. Camera Laye was born in 1928 in Kouroussa, Upper Guinea and later died in 1980. He was the first African author from a French-speaking African country. His first novel written in French, L’Enfant Noir (The African Child) made him one of the best and important novelists from the French-speaking countries in Africa. Dinaw Mengestu was also one of the best African authors who have contributed greatly in the field of African literature. He was born in 1978 in Addis Ababa the capital city of Ethiopia. He moved to the USA together with his sister and mother two years after his birth, to reunite with his father who had previously fled the country during the Red Terror. He graduated from Georgetown University. So far, he has written two novels titled “The Beautiful Things that Heaven Bears” which was established in 2007 and “How to Read the Air” established in 2010. He also recently received a MacArthur Foundation, usually known as “genius grant”. 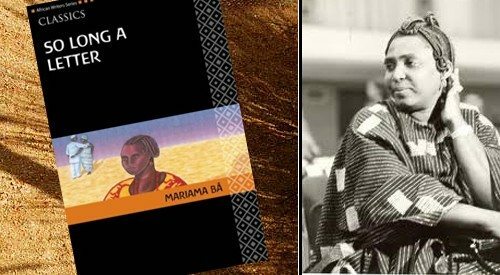 Maria BA is also an African author born in 1929, Dakar, Senegal. She has been regarded as one of the best and most original African authors to come from West Africa. Her works and life were usually preoccupied with several issues such as power, gender relations, and inequality. She also focused on the ways in which these issues were affected and framed by Islamic and African cultural beliefs. She wrote her first novel titled So Long a Letter in 1981. She died in 1986, just before publishing her second novel, Scarlet Song. Buchi Emecheta was born in Lagos, the capital city of Nigeria in 1944. Her work and life as an African author set the stage for the new generation of the west African female authors. Her fiction was drawn from her experiences in Diaspora as well as influences from her educational background. In the Ditch and Second-Class Citizen published in 1972 and 1974 respectively, are Emecheta’s heavily autobiographical novels. Bessie Head was born in the year 1937, in Pietermaritzburg, KwaZulu-Natal, South Africa; and she died in 1986. She was one of the African female authors whose life and litarary works have been brought into focus in recent days. She became famous because of her three novels; When Rain Clouds Gather, published in 1968, Maru also published in 1971 and the third one A Question of Power launched in 1974. In 1923, Uosmane Sembane was born in Ziguinchor, a region found in southern Senegal. He is widely acknowledged as the seminal figure in both African film and literature. His work was focused centrally on the cultural practices as well as political discourses that surround the female body in the continent of Africa. He died in 2007 after winning a critical acclaim for his film, “Moolaadé” in 2004. In 1938, Ngugi wa Thiong’o was born in Kamiriithu, Kenya. He is one of the best and most celebrated African authors and intellectuals. He is also one of the African authors who have enjoyed both national and international acclaim as an essayist, novelist, playwright, activist and social commentator. His experience of the Mau Mau struggle for independence, British colonialism and the position of Kenya in the neo-colonial era are some of the issues that preoccupy much of his thoughts and writings. Some of his novels include Weep Not Child published in 1964, The River Between (1965), and A Grain of Wheat published in 1967. In conclusion, there are also a number of other African authors apart from the above-discussed authors who have done marvelous work in the African literature industry. There are also young and vibrant upcoming authors with different thoughts and writing touching all aspects of life.